Mohamed Salah and Virgil van Dijk reaffirmed Liverpool’s Premier League title charge by scoring the deciding goals in an impressive away win. 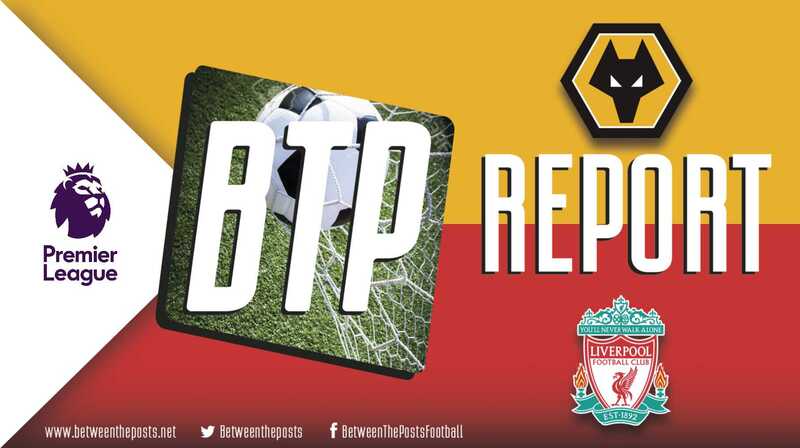 Wolves managed to create some half chances by pressing bravely, but Liverpool’s quality allowed them to take control of the match and secure the result. Tactical analysis and match report by Josh Williams. Wolves have performed well against the top sides this season, managing draws versus Arsenal, Manchester City, and Manchester United. Nuno Espírito Santo’s side also managed to beat Chelsea 2-1 earlier this month. Additionally, Wolves had won their last three matches prior to their encounter versus Liverpool, indicating a stern test for the league leaders. Liverpool approached this match in impeccable form, having won their last six league games. Their latest victory came against Manchester united, allowing Liverpool to go into this game on top of the Premier League by a single point. Perhaps even more impressively, Jurgen Klopp’s men also stood as one of the only three unbeaten teams in Europe’s top five leagues, alongside PSG and Juventus.